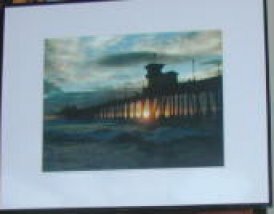 Founded in Huntington Beach CA in 1969 and open until 1980. - Re-born in Maryland from 2005 to 2017. I no longer make commercial boards but do still make a few custome boards and give surfing lessons in Ocean City, Maryland. Here is information for a local group if you want to take day sessions to surf on weekends. We do product endorsements, repairs of boards, SUPs, windsurfers, etc. The History of Wave Trek Surfboards and Trip Stix Skateboards plus stories by WT Team members. Also many pictures of great Wave Trek Surf Team members over the years. 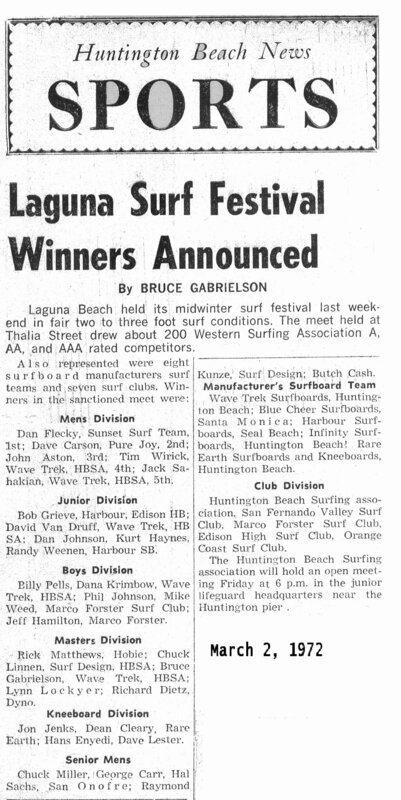 Dale Velzy helped Bruce "Snake" Gabrielson start Wave Trek in 1969. Here is the story about Snake and Dale Velzy from The Shapers Tree. Here are a couple of more articles where Wave Trek or Snake are mentioned from the early 1970s. Many of Snake's old team riders often contact him with great stories from the past. We will be adding a number of these soon and encourage others to send things when they get them. Here are two video interviews about Snake. Check them out. 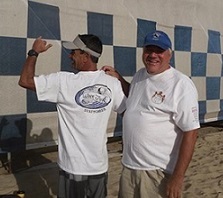 One on Ray Bond's website and one linked on the Eastern Surf Magazine's website. Wave Trek T-Sirts, $15 + $4 shipping - WT Decals are $1 each. 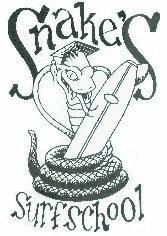 Snake's Surf School is a NSSIA Accredited Surf School. Drop Snake a note for small group and private lessons. Our surf lessons are listed on Thumbtack.